Bitter orange (Citrus aurantium) is the type of orange commonly used to make orange marmalade. Also known as Seville orange and bigarade orange, it lives up to its name as one of the most tart and pungent citrus fruits. While the fruit and rind can be used for preserves and dessert, the peel and flower are often distilled to make bitter orange oil. The oil, used to make liqueurs such as Cointreau, Triple Sec, and Grand Marnier, are also believed to have medicinal properties. 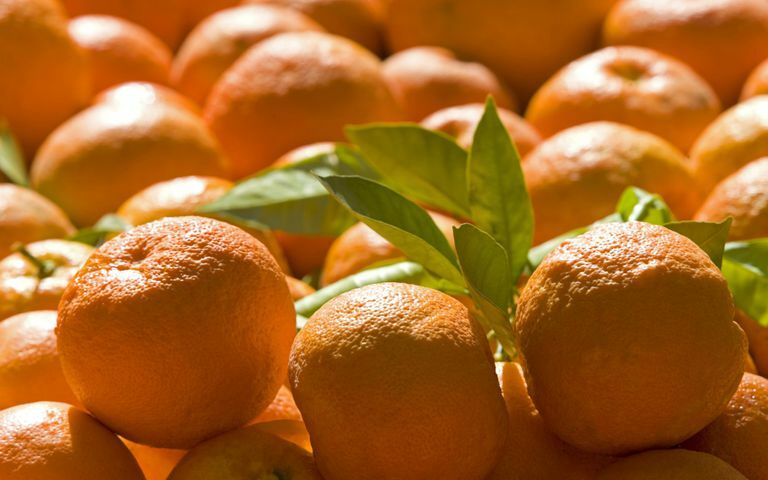 Bitter orange is grown throughout the Mediterranean as well as parts of Florida and the Bahamas. In Chinese medicine, it is referred to as zhishi. When used for aromatherapy, bitter orange essential oil is believed to increase concentration and improve mood and fatigue. In addition, bitter orange is believed by some to treat angina, allergies, insomnia, nasal congestion, nerve pain, poor appetite, and liver and gallbladder problems. Many of the benefits are attributed to a compound in bitter orange known as synephrine. Synephrine has a similar chemical composition to ephedra (a substance used for performance enhancement) as well as similar stimulant and thermogenic (heat-generating) properties. Bitter orange is probably best studied for its role in weight loss. It is commonly marketed as an oral supplement or is often co-formulated with other so-called "fat burners" or "metabolism boosters" (like caffeine or L-carnitine). Whether these effects actually achieve weight loss remains uncertain. A 2012 review of studies from Georgetown University concluded that bitter orange supplements, whether used on their own or in co-formulated products, did significantly increase the resting metabolic rate (RMR) in users compared to those given a placebo. In terms of weight loss, bitter orange supplements achieved only modest results. However, they were considered safe with no negative impact on blood pressure or heart rate. Bitter orange has been used to treat a range of digestive disorders for over 2,000 years in traditional Chinese medicine. Amazonian natives also commonly use it to relieve nausea and indigestion. Despite its long-standing use in alternative therapies, there is far more research regarding the safety of bitter orange than there is research about its actual effects. You usually have to look back decades, and, even then, the research is either scant or anecdotal. There are, however a few exceptions. A 1998 study from China reported that zhishi was nearly as effective in treating acid reflux as the drug cisapride, rendering positive results in 81.49 percent and 87.50 percent of patients respectively. Bitter orange is rich in vitamin C, a known antioxidant and topical astringent. Citrus essential oils are also widely used in the food and pharmaceutical industries because of their antifungal activities. These properties are believed beneficial in preventing superficial fungal infections in humans. According to a 1996 study from Egypt, a 25 percent emulsion of bitter orange essential oil applied three times daily cleared tinea corporis (ringworm), tinea pedis (athlete's foot) and tinea corporis (jock itch) in one to three weeks. The assumption that bitter orange can enhance athletic performance is largely based on the close association between synephrine and ephedra. Ephedra was the rage in the 1990s because of its purported fat-burning and energy-boosting properties but was banned by the U.S. Food and Drug Administration in 2004 after the agency received over 15,000 complaints, ranging from reports of insomnia to actual deaths. Since ephedra's ban, many supplements manufacture's have marketed synephrine as the "safe ephedra." To date, the evidence to support these claims is mixed. Moreover, it is often difficult to assess the effects of synephrine given that is often mixed with other ingredients, including caffeine, tyrosine, and creatine. A 2017 study from Texas A&M University decided to compare supplements containing synephrine with those that didn't and found that the addition of synephrine did nothing to alter the performance or RMR in 25 male and female athletes. Moreover, neither supplement delivered stronger performance results compared to a placebo. The evidence supporting the use of bitter orange in reducing blood glucose is limited. A 2017 study from Nigeria showed that citrus essential oil can effectively inhibit the enzymes α-amylase and α-glucosidase, both of which are linked to diabetes and hypertension. Whether the results of a test tube study can translate to humans remains unclear. There are some pieces of research that suggest a benefit. A 2006 study from Iran reported that drinking 8 ounces of bitter orange juice daily for four weeks reduced the fasting blood glucose by 9 percent in 35 people with type 2 diabetes. While interesting, it is essentially the same effect seen with grapefruit and lemon juice and not one specific to bitter orange. Bitter orange juice is as safe to drink as any the citrus juice as long as it is no consumed in excess. Far less is known about the long-term safety of bitter orange extracts and supplements. The overuse of these supplements, whether for weight loss or athletic performance, may trigger abnormal heart rhythms (arrhythmias), lightheadedness, fainting, and other potentially severe symptoms. In rare cases, the excessive use of bitter orange may trigger malignant hypertension and death. It is among the reasons why synephrine was placed on the list of banned drugs by the National Collegiate Athletic Association (NCAA). Bitter orange may interact with monoamine oxidase inhibitors (MAOIs), a type of antidepressant which includes Emsam (selegiline), Marplan (isocarboxazid), Nardil (phenelzine), and Parnate (tranylcypromine). Bitter orange may increase the concentration of MAOIs in the blood and, with it, the risk of side effects. Bitter orange also appears to break down benzodiazepine sedatives like Versed (midazolam) and Halcion (triazolam), making them far less effective. While some experts have suggested that bitter orange may have as many drug interactions as grapefruit, its effects don't appear to be as strong. Check with your doctor to be sure. For medicinal purposes, bitter orange is typically sold as a tablet, gelcap, or extract. Herbalists will often sell powdered bitter orange peel to mix in topical creams and ointments. Zhishi is also available in powdered form. There are no standardized prescribing recommendations for bitter orange. As a rule of thumb, if you decide to use a bitter orange supplement, do not exceed the recommended dose on the product label. To ensure safety and purity, only purchase supplements tested and approved by a recognized certifying authority like the U.S. Pharmacopeia (USP), NSF International, or ConsumerLab. Bitter oranges can be bought fresh in grocery stores (usually as Seville oranges). If you cannot find them locally, there are online suppliers who can ship them to you. Seville orange juice is also sometimes sold, either in fresh or pasteurized forms. Bitter orange extracts and supplements can be found a many health food and vitamin supplements stores, as well as online. Bitter orange essential oil can be purchased at many of the same outlets. Bitter orange essential oil is popularly used for aromatherapy. It can evaporated into the air using a diffuser or inhaled by applying a couple of drops in a steam bath. If used topically, mix a drop or two with a carrier oil such as jojoba oil or almond oil before applying to the skin. A maximum concentration of 5 percent (or roughly 30 drops of bitter orange oil to one ounce of carrier oil) is considered safe for adults. Bitter orange essential oil should never be taken internally, even if classified as "therapeutic grade." Jung, Y.; Earnest, C.; Koozehchian, M. et al. Effects of acute ingestion of a pre-workout dietary supplement with and without p-synephrine on resting energy expenditure, cognitive function and exercise performance. J Int Soc Sports Nutr. 2017;14:3. DOI: 10.1186/s12970-016-0159-2. Lin, J.; Cai, G.; and Xu, J. A comparison between Zhishi Xiaopiwan and cisapride in the treatment of functional dyspepsia. World J Gastroenterol. 1998 Dec 15;4(6):544-7 DOI: 10.3748/wjg.v4.i6.544. Oboh, G.; Olasehinde, T.; and Ademosun, A. Inhibition of enzymes linked to type-2 diabetes and hypertension by essential oils from peels of orange and lemon. Int J Food Prop. 2017:20(Suppl 1): S586-S594, DOI: 10.1080/10942912.2017.1303709. Ramadan, W.. Mourad, B.; Ibrahim, S. et al. Oil of Bitter Orange: New Topical Antifungal Agent. International J Dermatol. 1996 Jun;35(6):448-9. DOI: 10.1111/j.1365-4362.1996.tb03032.x.